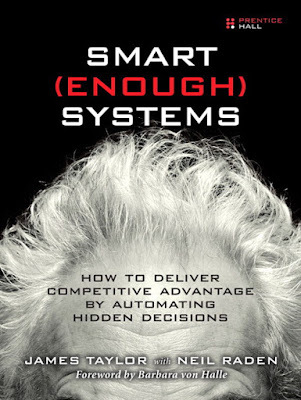 James Taylor, Smart Enough Systems, is going to keynote for us on Wednesday at our Drools meeting starting April 19th, as blogged here. The talk will be titled "Smarter systems for uncertain times". I'll blog more details in a few hours.